WIMA DC-LINK MKP 5Metallized Polypropylene (PP) Capacitors in Cylindrical Case for DC-Link Applications. 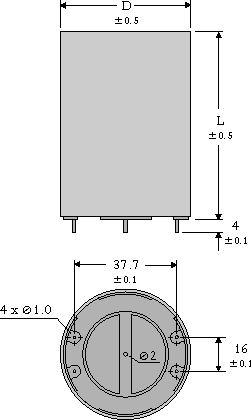 Capacitances from 16 µF to 260 µF. Rated Voltages from 500 VDC to 1300 VDC. Marking: Colour: Grey. Marking: Black on silver label. The capacitors are non-polarized. 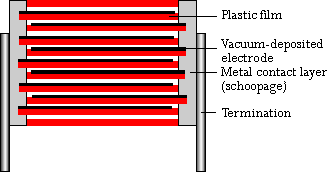 The centre termination is designed as one pole whereas the four outer terminations form the other pole.